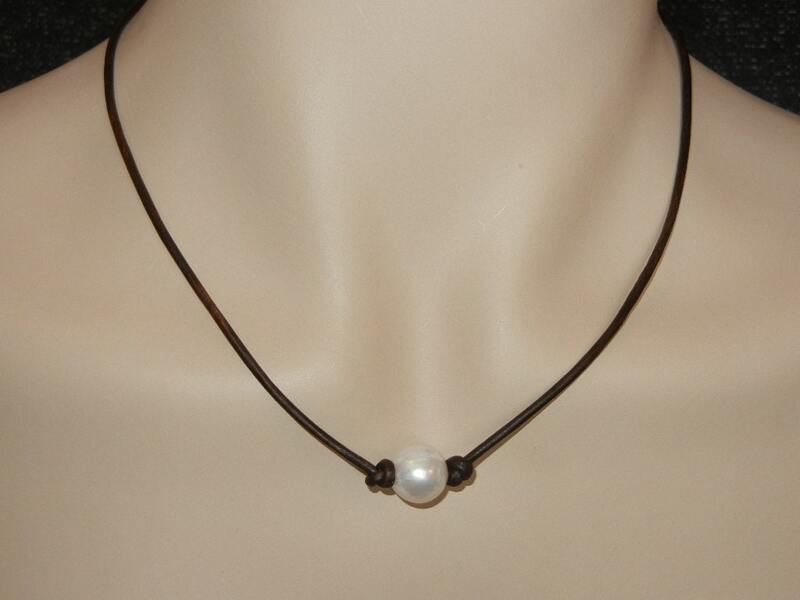 This listing is for a Pearl and Leather Necklace and Bracelet- Jewelry Set. 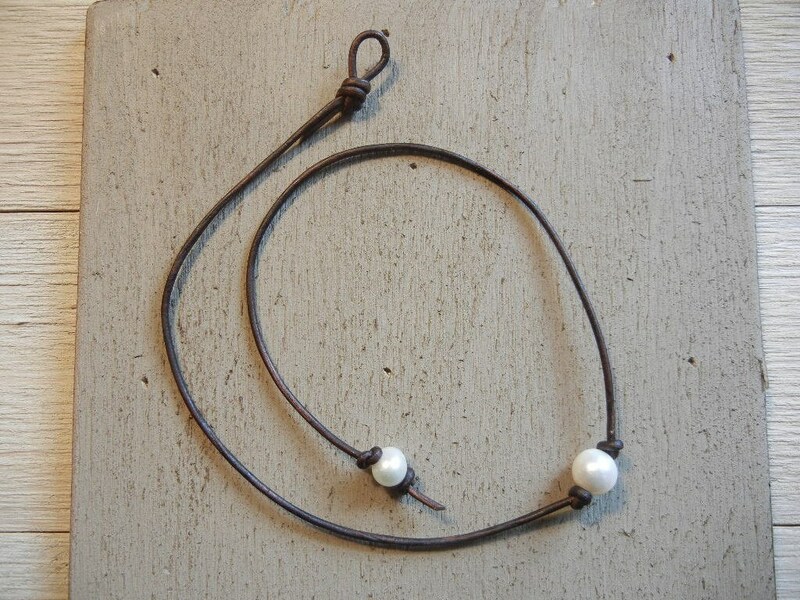 This necklace features a focal 12-13mm white freshwater baroque pearl hand drilled and knotted on 2mm premium soft round naturally dyed hand rolled Vintage Brown leather cord with a pearl closure. With a matching bracelet. Each item comes in a gift bag. 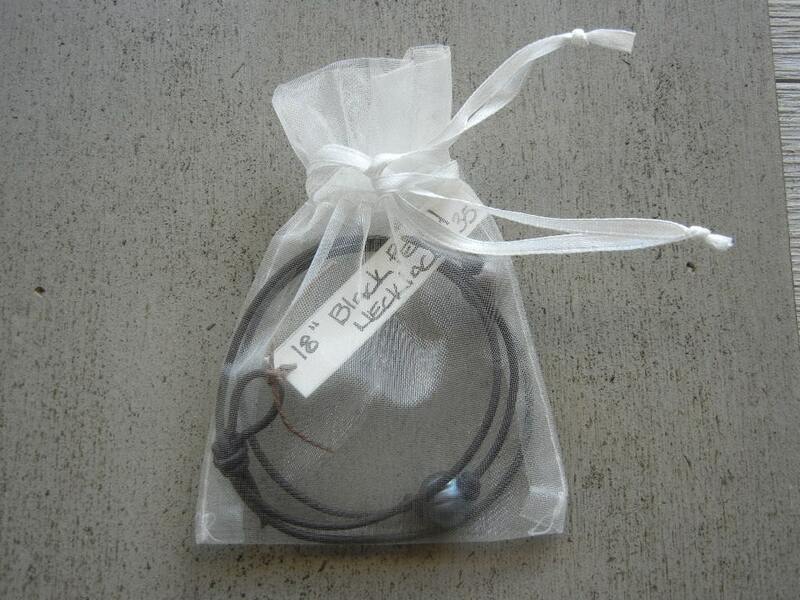 The necklace pictured length is 16" on a hand rolled leather cord color vintage brown. 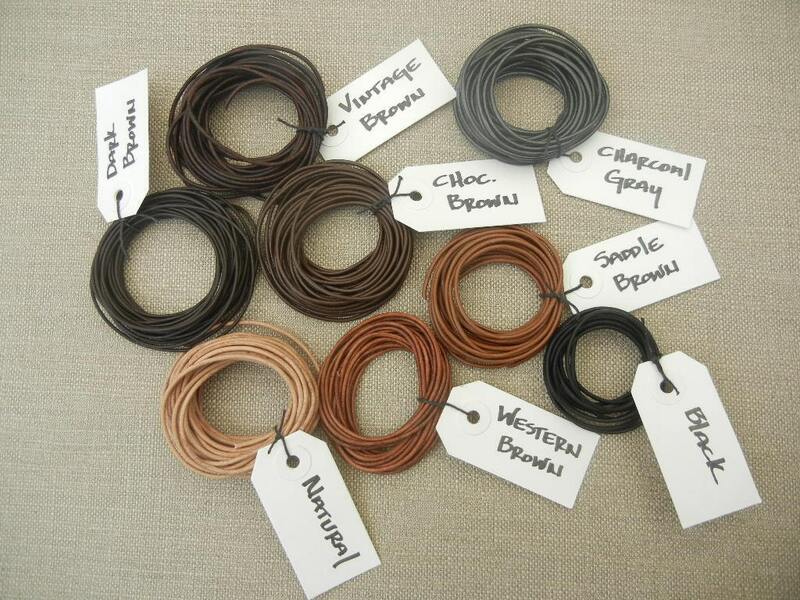 You can make it custom to you - choose your length and leather color you would like. Look at the picture with all your color choices and just put your leather color choice in the comments. One-of-a-kind unique treasure no two are alike. 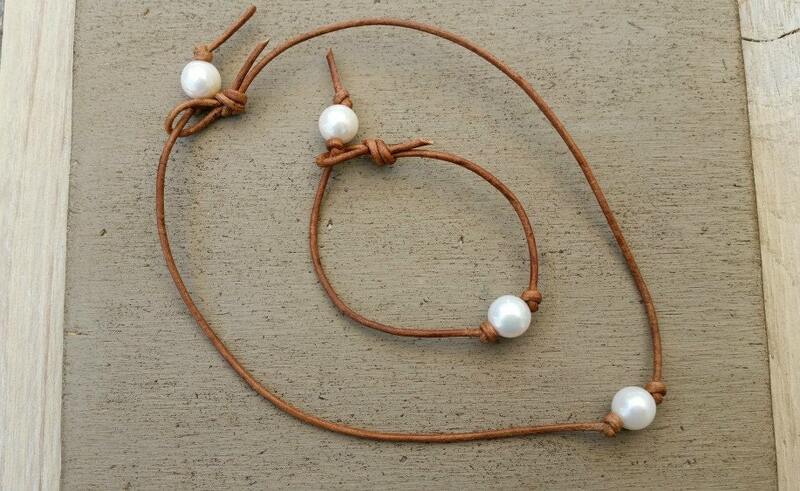 A simple elegant set for a dress or your favorite jeans and a T shirt.